Terminal Plates There are	15 products. Harley Terminal Plates for many models. 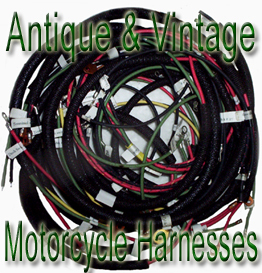 This sale is for one 1523-26A Frame Terminal Kit.Fits: 1936 to 1947 Big Twins and 45 ciReproduction. Email with any questions. This sale is for one 72300-70 1971 to GG servi-car terminal kit.Reproduction. Email with any questions. This sale is for one 4829-41 Terminal Plate.Fits: 1942 to 1948Image is an example of front and back side only.you just receive one plate. This sale is for one 4829-42M Horn Terminal Plate with rivets.Fits: 1942 to 1952 WLA Models and 1943 WLC and 1942 XAReproduction. Email with any questions.